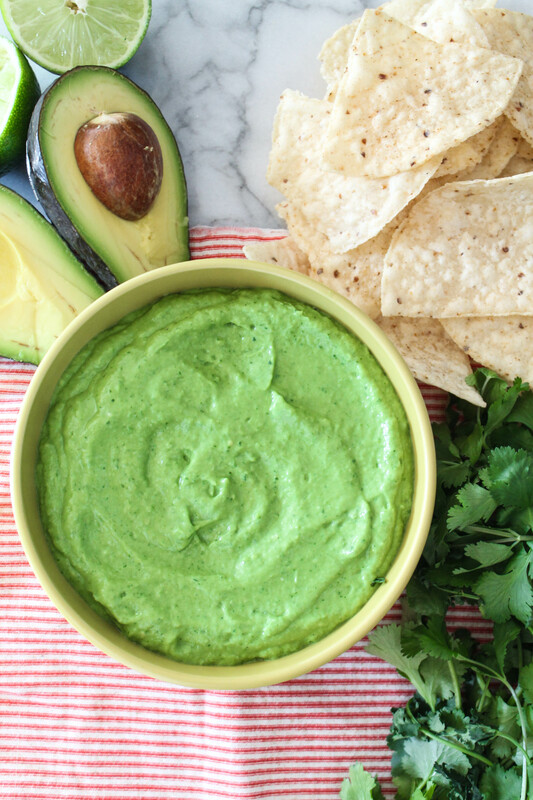 If you’re looking for your new best friend in the dip category, look no further than this Avocado Kale Tomatillo Salsa. It’s packed with greens, healthy fats, and so much flavor you’re going to want to drizzle and dip it with everything! Chips were on sale last week. Which in our household translates to “why did we buy so many bags of chips if we are only two people in this family? !” So to balance the chip to dip ratio, I decided to whip up a quick and easy, healthy salsa. In true definition of what “salsa” is: (especially in Latin American cooking) a spicy tomato sauce. Simple, right? To make sure I adhered to the definition and be as true as possible, I found some tomatillos (also known as Mexican husk tomatoes) to create a salsa around. In went the Index Fresh Avocados for richness and creaminess, plus some wilting kale that had seen better days. I thought the kale would be a great addition, a way to get the kiddos to eat greens without really knowing it. Side note: I wonder what type of parent I’d be if I had children. Would I hide vegetables in foods or would I make them realize how good vegetables were on their own, in their natural shape and form? I don’t know. I’m not a parent, nor do I plan to be any day soon. Once the tomatillos, avocados, and kale were in – I knew I need a burst of flavor, so in went a juicy lime and a ton of fresh cilantro – leaves and stems! Do not throw away the stems – they are just as packed with flavor and nutrients as the leaves. A lonely jalapeño called out my name from the refrigerator door, so I cut into it lengthwise, removed the seeds, and threw it into the part as well. All together, they swirled in the blender for 1-2 minutes, until it was all smooth. Dunk a spoon and taste it – add salt and pepper to taste, blend a bit more and you’re ready to pour into a bowl for dipping chips in it. But it’s quite versatile! You can use this as salad dressing, over pasta, as a marinade for chicken or pork, and over cooked fish or seafood. The possibilities are endless. This green-packed salsa is so delicious, with a burst of lime and cilantro that will have you dipping endless chips into it, over and over it! Place everything in a high speed blender and blend for 1-2 minutes until smooth. Season with salt and pepper. Blend again to combine. Re-taste and check seasoning. Store in the refrigerator for 3-4 days. Serve with chips! Disclaimer: I’ve partnered up with Index Fresh to bring you some delicious avocado recipes. Thank you for supporting brands that support this blog and my work!